Rituals are ceremonies carried on by groups of people who follow specific behaviors together, uniting them for some purpose—usually to one another as participants in the ritual as well as to the “purpose” or culture of the ceremony. Religious groups have historically littered their paths with rituals for all sorts of reasons. Ethnic groups often have rituals they observe. Families also develop rituals that have meaning (or not) for participants. My childhood was packed with rituals my parents created and which we practiced with seriousness and sincerity. The first cold night of the fall would mean we’d build a fire in the fireplace, place in it potatoes to be burnt to a crisp (although I doubt that was my parents’ intention), which we ate while my dad told stories about made-up creatures that thrived on tickling little kids. When we had a special occasion, we’d share a single artichoke by candlelight. To this day, I find artichokes quite out of place without candlelight. Do you recall rituals of your own childhood? What purpose did they serve in your family? Communities can also create rituals. 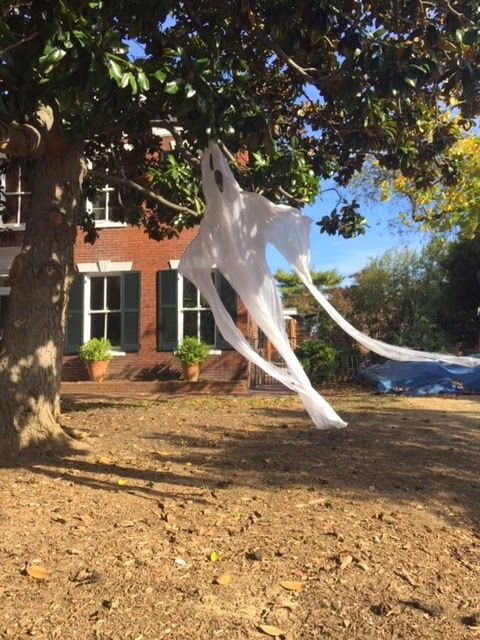 In the years that I’ve lived in Old Town Alexandria, I’ve watched a series of Halloween-related rituals burgeon. 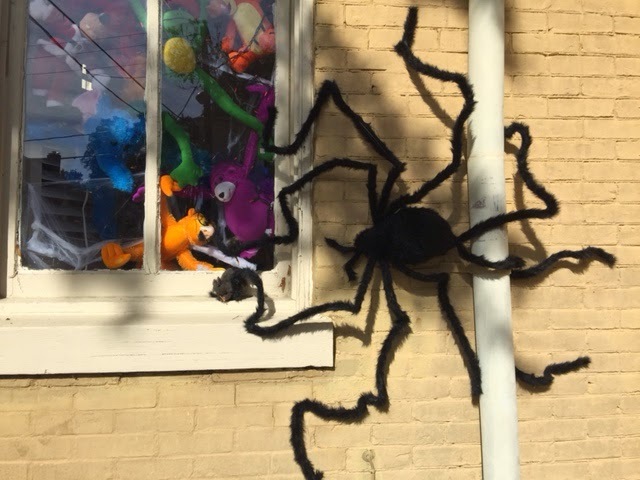 Almost every house has some form of decoration—far more now for Halloween than for Christmas, as I experienced as a child. We have a day of trick-or-treating from one shop to another down our main street. We have one famous street that is mobbed with people in costume—and which has received so much press that locals don’t even think of attending anymore. 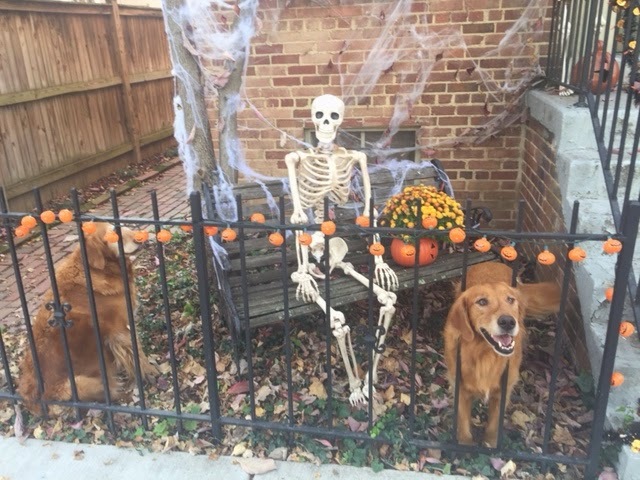 And, of course, we have a dog Halloween costume contest—the highlight of this holiday’s rituals for dog owners and dog lovers—as well as people watchers. Rituals play an important and positive part of holding a group of people together if they are authentic and participation is voluntary. Organizational rituals focused around birthday celebrations, promotions, babies, and departures can build connections—or they can build resentment or cynicism, depending on how healthy the organization’s culture is. If people trust and respect one another and don’t feel coerced into putting on happy faces for such events, organizational and team rituals can build a sense of camaraderie. If the core culture is unhealthy, rituals will not heal it. What are your organizational and team rituals? Do they accomplish the intended bonding? Or are they evidence of how wrong things are? Can you use them to help build a culture that is more open and collaborative? Rituals should be organic and positive, less about form (burnt potatoes) and more about substance (consistency). See what you can do to invent some. After all, it's the perfect time of year to notice rituals all around. Several years after helping the AAACN Board design a strategic plan, I had the opportunity to revisit them in order to facilitate a conversation about how to prioritize the many opportunities they now have as a result of the success of that plan. It was a productive session and I was grateful for the opportunity to reconnect with the group. Below is a photo taken at the AJJ Headquarters in Pittman, NJ with board and staff members. Those who know me say I often insist that curiosity is the most under-appreciated emotion. I am going to say it again. Curiosity transforms you from apathy, judgment, or a sense that you know it all to a positive sense of wonder. 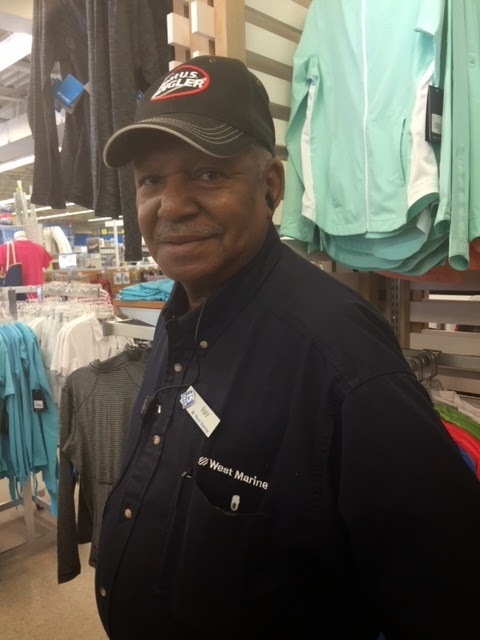 Here is today’s case in point: The clerk at the West Marine store where I shop for boating stuff has a beautiful, deep voice. His name tag said his name is RAY. I asked Ray about his resonant bass voice, and what I learned this afternoon on a simple errand was fascinating. My clerk, Ray, was the first African American to sing at the original Grand Ole Opry. He and his group were not on the schedule, and why should they be—no black Americans had ever been allowed to sing on stage back in the early ‘60s. Minnie Pearl (anyone remember her hats?) heard him singing and insisted they go up on stage and sing—which they did, to a very appreciative audience. And thus another barrier was broken. And I would have missed knowing something very special about my salesman Ray if I had not been curious enough to ask a simple question. Everyone has a story. Before the day’s out, connect with someone new and ask about his or hers. What an amazing moment for all of the women and children in the world suffering from oppressive political and religious leaders to learn that Malala Yousafzai, along with Kailash Satyarthi, has won the 2014 Nobel Peace Prize. She is an amazing young lady whose voice inspires many. Congratulations Malala! For more on Malala, click here. If you have watched or read the news this week, you have probably noticed how it feels like the world is about to end. ISIS (or is it ISIL?). Ebola. Guns in schools. Olympians with DUIs. It can be depressing to think of all that is going wrong in the world and our seeming inability to individually effect meaningful change. Sometimes going to work can feel the same way. You work with a slacker (or several). There is no focus in your organization's purpose. No matter how hard you work, you don't feel appreciated or rewarded. A co-worker's bad attitude is poisoning the group. Confronting the same challenges day-in and day-out without feeling like you have the ability to make any significant improvements on your own can easily rob you of your normal energy and motivation. And, what's worse (can things even get worse!?) is that you may be right. You may not be able to save the world or turn around your organization by yourself. Yet when daily life starts feeling this heavy and serious, I advise my friends and clients to blow it off with some good humor. It's the instant remedy to kick yourself out of a funk. Watch a comedy. Have dinner with a funny friend. Play a practical joke on a co-worker. Or if you are sitting at a desk right now and need a quick pick-me-up, check out this list of analogies that high school students actually submitted. I dare you not to smile. If you have a moment after reading through that list, do me a favor and send me your best analogy for your workplace. Going to work is like.... Be creative, be specific, be funny. Enjoy the process and see if it changes your attitude. 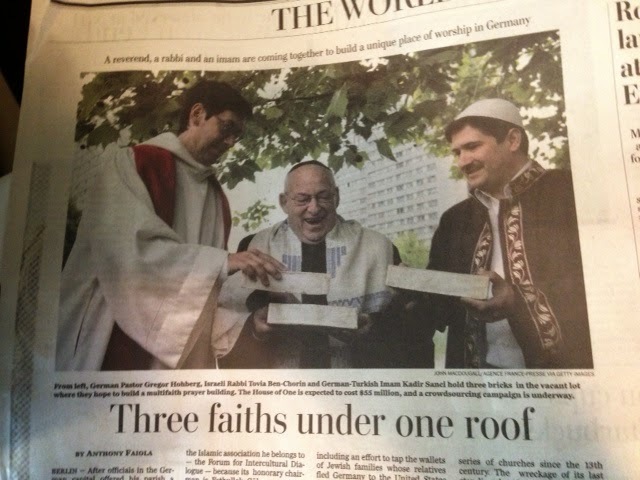 In last Sunday's Washington Post, an article entitled, “Three Faiths Under One Roof,” describes an effort in Berlin to build a “House of One” to be used by Christians, Muslims, and Jews. The leaders of these three faiths who are behind the project cite Martin Luther King, Jr. as an inspiration to them to tear down walls. This is such a potent sentiment that its original author is still unsettled, as so many great leaders expressed similar thoughts in their own words. Apathy may prevent these visionary religious leaders in Berlin from attracting the support and resources needed to realize their dream of a House of One. Apathy closer to home can rob you, your family, or your organization of your fullest contribution and fuel a negative cycle. Recognizing the significance of your participation, or lack thereof, in the grander scheme of things is the first step in turning the tide and finding the energy to take action. Find ways to lift your way out of apathy—set goals, keep a daily diary, join with others to work on achieving agreed-upon outcomes. There are many mini-steps to take to achieve great accomplishments. They don’t happen in a single decision, but as a result of small, incremental steps that build toward their realization. Take the first steps toward something you want to do, but haven’t found the energy or inspiration to tackle. You’ll feel so much better about yourself once you begin! 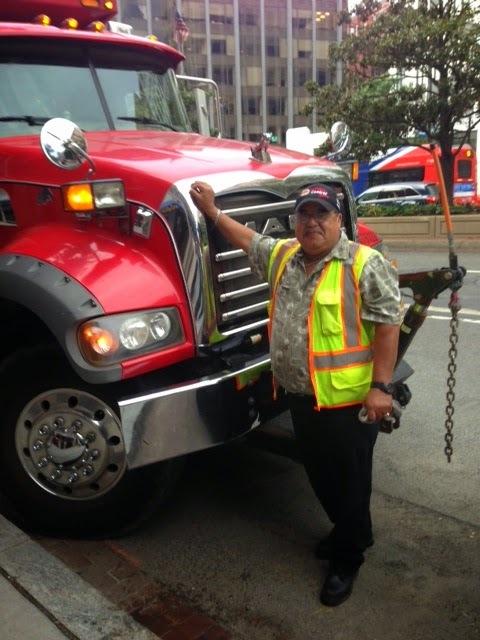 As a footnote, after I wrote this blog, I was driving in Washington, DC and came across this gentleman polishing his dump truck. I'd say he is the definition of anti-apathy and an inspiration to up my own game!